In 1988, Chris Bryson was found running down a Kansas City street naked, beaten, and bloody wearing nothing but a dog collar and a leash. He told police about Bob Berdella, a local business man and how Berdella had caputed him, held him hostage, raped him, tortured him, and photographed him over several days. 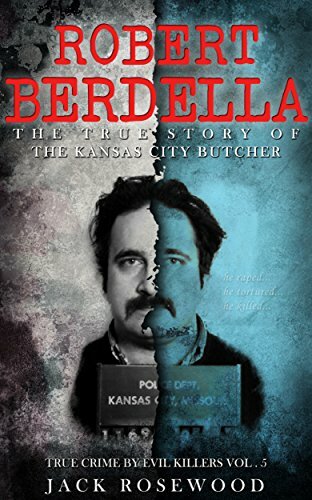 Police later arrested Berdella and searched his mid-town Kansas City home where they found several hundred polaroid photographs, a detailed torture log, envelopes of human teeth and a human skull. It was soon discovered that Berdella had murdered six young men in his home after drugging them and performing his sick acts of sexual torture. He met a couple of the victims at his business, a small shop called “Bob’s Bizaare Bazaar” where he sold artifacts from around the world related to the darker side of human nature for people with jaded tastes. Some lived the horrors for only a few days, one for six weeks. After death, Berdella would cut up the bodies with an electric chain saw and a bone knife, place the body parts in empty dog food bags, put them into large trash bags setting them out for trash collection on Monday. 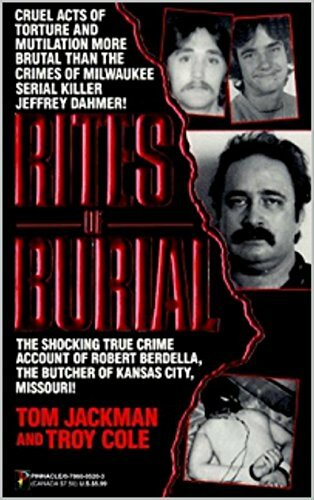 It is believed that Berdella used specific organs of the victims as meat in several food dishes he would serve at his shop, although he denied this until the apprehension of serial killer Jeffrey Dahmer one year later. By day Bob runs Bob's Bazaar Bizarre, a booth at the local Westport Flea Market. When Bob isn't busy with his day job he is active in the community helping troubled youths get off hard drugs, providing shelter for those without, and filling the stomachs of his guests with homemade chili. The movie chronicles the daily life of Bob Berdella between the years 1984 and 1988.